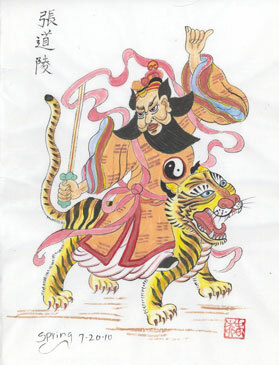 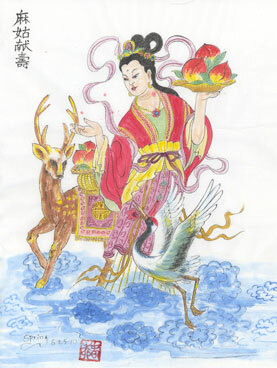 Home / Chinese Auspicious Gods, Prints, 8" x 11"
There are many different auspicious, wealth deities in the different Asian traditions. 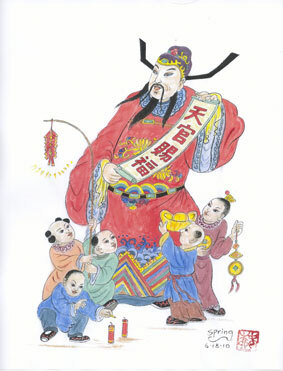 China and India have multiple Wealth Gods. 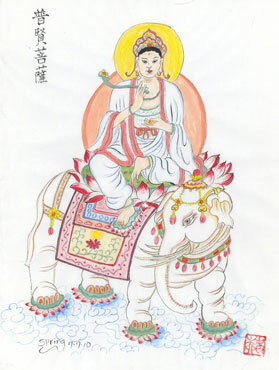 The Koreans and Thais have their Wealth Buddhas. 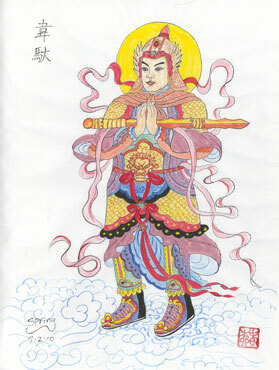 The Tibetans also have their five Wealth Buddhas. 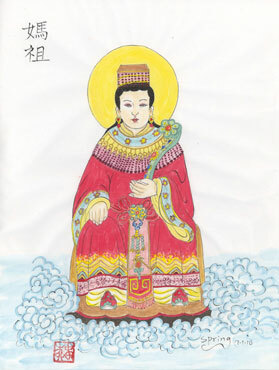 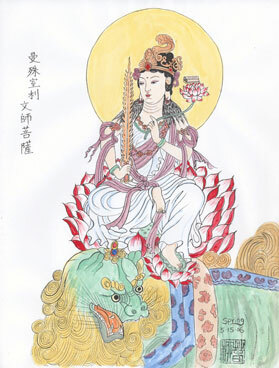 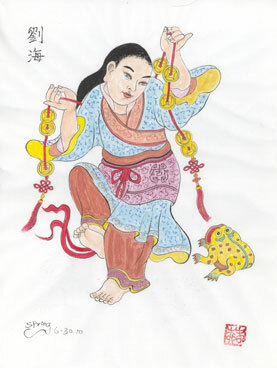 Chinese Taoists have several Wealth Gods and also regard the 8 Immortals and Laughing Buddha as auspicious beings whose presence in the home either on paintings or on decorative items attracts wealth luck. 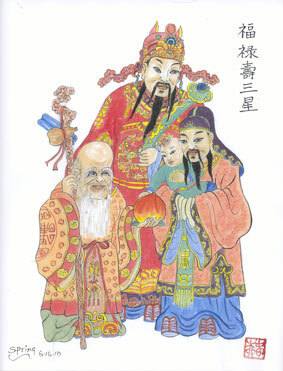 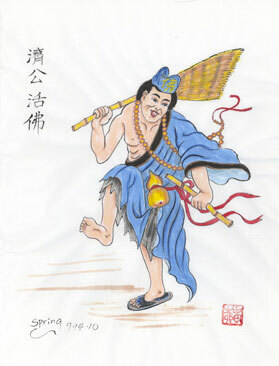 The most popular Chinese Wealth Gods are the Three Star Gods known as “Fu Lu Shou” (or Fuk Luk Sau) who signify happiness, wealth and longevity. 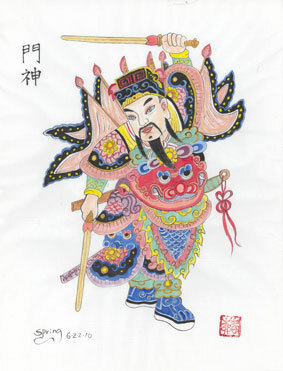 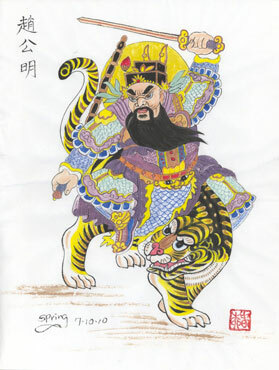 “Fu Lu Shou” can be seen in many Chinese homes. 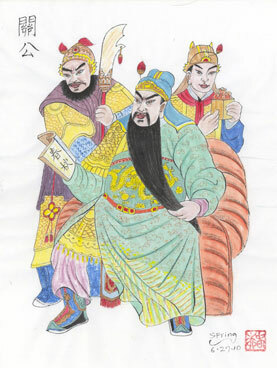 They not only look after the material side of life for residents, they also afford general protection against bad people.